I covered some of Rafał Sarnecki’s work as a sideman and arranger recently in the context of vocalist Annie Chen’s great Secret Treetop album. As a leader, we find him on Climbing Trees fronting a sextet featuring Rick Rosato (bass), Colin Stranahan (drums), Glenn Zaleski (piano, also on Chen’s album), Lucas Pino (saxophone), and Bogna Kicinska (vocals). Stylistically, there’s a certain amount of similarity, with both operating in a realm of sophisticated and wide-ranging jazz infused with touches of modern chamber music, Balkan and Middle Eastern music, and even a touch of rock. Perhaps the greatest surprise is Kickinska’s singing. Her voice is treated as an instrument, often working in unison with Pino’s sax, as on “Dadaism,” where she executes a very tricky melody along with a soprano sax, soaring acrobatically into upper reaches without sounding screechy or thin. She plays a role similar to that of Flora Purim in the earliest Return to Forever, or Urszula Dudziak in Michał Urbaniak’s groups. Stylistically, the music is a very appealing and creative take on post-fusion jazz, where they’re not afraid of rock-inflected rhythms or odd meters, but don’t divorce them entirely from bebop traditions. “Dadaism” starts with a riff that reminds me of early Nucleus tunes, though lighter on the funk. Another standout is “Zhongguo,” written in honor of his visits to China, which has a head that manages to be both tricky rhythmically and catchy harmonically. All of the musicians are outstanding, with Zaleski’s piano particularly notable on several tracks. 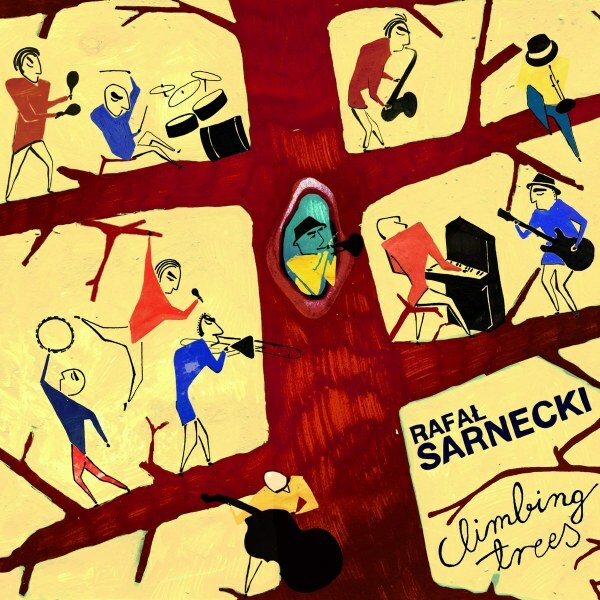 Sarnecki himself has a flexible sound that sometimes harkens to blues or old-school jazz guitar, but also wanders into more modern territory, such as the lovely pattern with harmonics that begins “Little Dolphin Part 1.” He favors clean tones over the use of obvious effects. The compositions are the real stars here, with a good balance of consistency and variety in different tempos and energy levels, all played with spirit. Rafał Sarnecki is a musician who should be taken note of, and he’s assembled a stellar lineup to bring his vision to life.